Let GlassWorks professionally and safely remove your failed glass windows and replace them with new warrantied glass. Arcadia Residential, Inc. and GlassWorks have been installing glass projects since 1977. 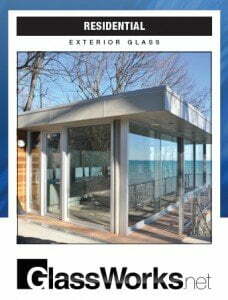 In February 2011 – Arcadia Residential, Inc. and GlassWorks combined to become the recognized leader in glass. GlassWorks specializes in projects that may seem too big or too challenging. High-rise, hard to access and large glass sizes are our specialties! We have in house project managers to offer shop drawings; in addition, our fabrication capabilities and experienced crews mean GlassWorks can replace your glass or aluminum window system faster than you thought possible. Call us today – GlassWorks’ project managers are ready to answer your questions regarding our Highrise Window Replacement. We have the best installers and project managers. We have the expertise to do the job better and faster. We have the physical assets to do the job right. For our property manager clients, we prepared detailed shop drawings and fabricate our glass, mirrors and hardware locally. Our crews are fully bonded and insured so that our clients feel safe deploying our crews into apartments and condominiums of Chicago’s most prestigious addresses. Our list of products and services is growing daily. We offer the most advanced window systems to deal with the latest energy codes and structural requirements. Regardless of the building, we have the most innovative products and services for our clients.